The City Hall in Belfast city centre is surrounded by perfectly manicured lawns and a wealth of memorials to the history, people and events associated with the city. The lawns are a popular lunch spot for locals and I can often be found there munching on something I’ve bought from one of the surrounding cafes. However the gems contained in the grounds of City Hall are often overlooked by the lunchtime crowd - just a quick look around reveals so much about the city and its citizens. My first tip is to check out the trees just outside the grounds. The ‘Living Leaves’ were planted to celebrate the lives of Belfast’s citizens who were over 100 years of age during the City Hall centenary year in 2006. Another tree has been planted to celebrate a member of council staff, Alan Wilson’s 50 years of service in Belfast parks. The trees are a touching tribute and worth checking out. 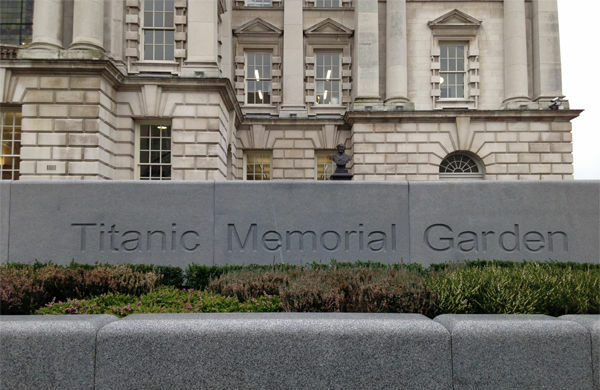 Inside the grounds is the Titanic Memorial Garden which sits at the left hand side of the City Hall as you stand facing the front entrance. They were completed in 2012 to commemorate the 100th anniversary of the sinking of this Belfast built ship. The garden is a permanent tribute to over 1500 passengers and crew who died after the ship struck an iceberg and sank during its maiden voyage in 1912. The Titanic Memorial Garden is home to a number of memorials including a full list of names of those who died, the Titanic Memorial and a statue erected in memory of William James Pirrie, Chairman of Harland & Wolff (who built the Titanic), and a director of White Star Line (the owners of the Titanic). 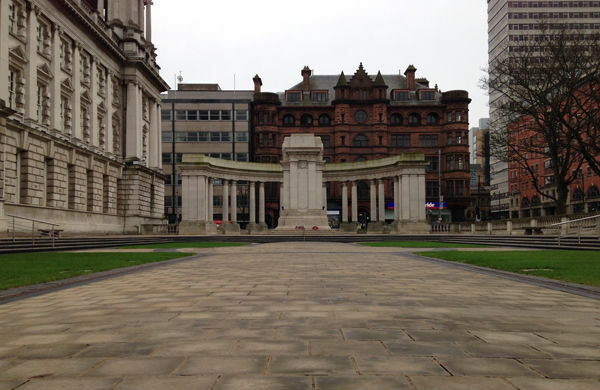 On the right hand side of the City Hall is the Garden of Remembrance and Cenotaph, built in memory of those who died during the two world wars. In front of the impressive stone porte-cochere at the entrance to the City Hall is a monument for Queen Victoria who visited the City for only a few hours in 1849. Check out the grand front gates to the City Hall gardens with its City Coat of Arms. The Coat of Arms dates from 1890 and includes the motto ‘Pro tanto quid retribuamus’, translated from Latin, it means ‘what return shall we make for so much’. The gardens around the City Hall are used frequently throughout the year for various events including exhibitions, markets, concerts and various exciting public events. It’s worth the visit, even if it’s only on a sunny day to sit back, relax and enjoy a spot of people watching as people enjoy the only lawns in the City Centre. ____ Check out our deals for things to do in Belfast.